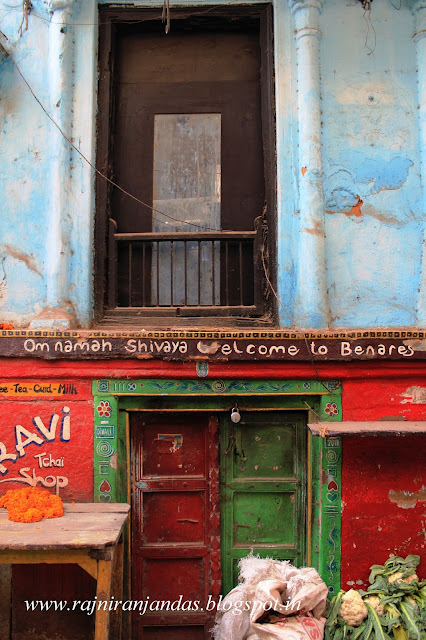 Tales Of A Nomad: Welcome to Benares...!! From the alleys of Varanasi. February 2013. Riot of colours. One can find so much colour in everyday life. Varanasi is so colourful. Every nook and corner flashes spectacular hues. I am coming on 25th February . Thanks for welcoming me in advance. This picture is inviting me to the city of salvation right away! Wonderful teaser! Thanks Arti. Head there soon! lovely image to start off with!!! waiting to see the rest!! benares is a city i have been to, twice... and would love to visit again! Thanks Anu. I just loved Varanasi, can't wait to head there again. Wow! Kashi? Would love to read more on it! :), Yeah, was in Kashi for a few days. Hmm...interesting picture. It has a lot to say. I'm looking forward to the Maha Kumbhmela post(s). Up already? Thanks Divya. Kumbh posts are yet to come. :) Will update soon. Cool image . Quite inviting . Varanasi is one place I've been planning for a long time...! The city of salvation! Head there soon. First I thought they are 2 pics! I loved the lower door. Riot of colors everywhere in India. I have never been to 'Benares', your photo is inviting me to do so. It is such a wonderful place. You will never feel like leaving. Shall check on the options. I wish I could color my own house like this photo. :), That would be one colourful house. Wow..The rustic colors speak thousand of words about the city. Very much. I second that. Very interesting. Did you go there for performing any religious rites? Thank you. I had been to Varanasi as a part of my visit to Kumbh mela. Did not perform any religious rites.